“Our stop in Kansas was to visit some friends of mine that moved several years ago and we recently reconnected. They live near one of the more infamous areas of Western History, including the farm where Jesse James grew up and the town where another outlaw band met their just end. 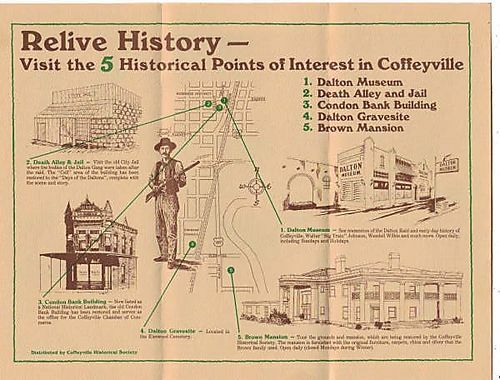 Coffeeville, Kansas is where the Dalton gang met their demise while trying to rob two banks at the same time. The townsfolk turned out and stopped the attempted robberies. Four citizens as well as four outlaws died in the gun battle."